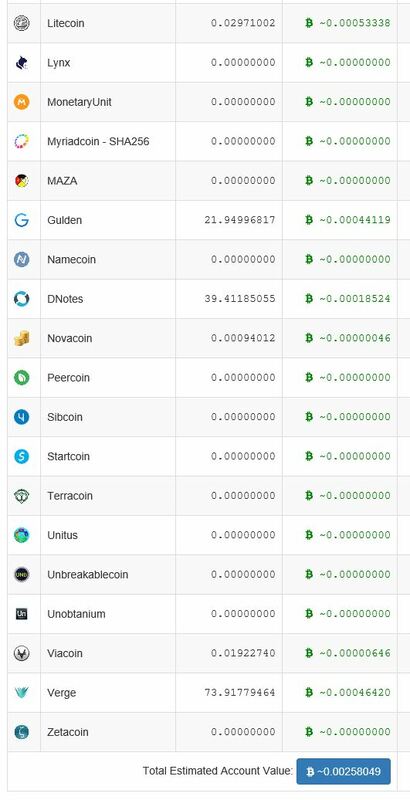 Interesting day today, StarPool pull into the lead even though they had 2 hours of down time and Mining-Dutch kick in and start producing some good results. we don’t do any autoexchange, your review seems to indicate that you think we do. So, would seem that they are a MultiPool that mines the most profitable coin, but doesn’t convert it for you. My miner is on port 7777 and it seems I am mining all sorts of alt coins (mainly GAME, LTC, XVG) that I assumed would be converted to LTC at some point. Unfortunately it doesn’t convert on the pool, you have to convert the coin yourself to LTC via Bittrex or another Crypto Exchange. Or you can select a Port for the coin you want and just mine that coin.